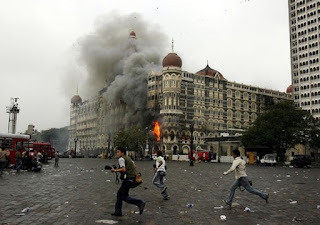 The lone surviving terrorist of the group of ten sent by the Pakistani terrorist and charitable organisation, Ajmal Amir Kasab, said that the organisation paid his father a huge amount of money. Kasab: He said, “These people make loads of money and so will you. (Inaudible) We’ll have money, we won’t be poor any more. Your brothers and sisters can get married. Look at these guys living the good life. You can be like them,” he said. Unidentified Male: Your dad said this? Unidentified Male: What does he do for a living? Kasab: He used to sell yogurt and potato snacks in the street. Unidentified Male: How much did they give you? Did they put it in your account? Kasab: There is no account. They gave it to my dad. Unidentified Male: How much did they give him? Kasab: I don’t know. Maybe a few hundred thousand. 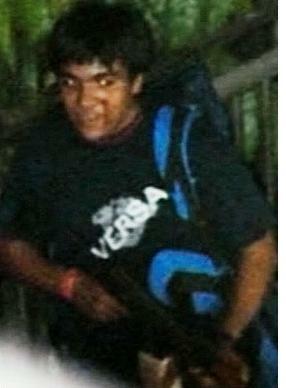 In another tape, Kasab recalls how the terrorist group was trained. Police: How long were you in training? Kasab: Three months. There were 24 or 25 in our class. Police: Where were the people from? Kasab: They don’t tell you. I only knew about one. He said he was from Lahore. He became my friend. Police: Didn’t they allow you to speak to each other? Kasab: We were forbidden to speak to each other. It was very strict. The proper training where they say, “This boy is ready now” – that only takes three months. That’s it. Kasab: I did, but he said you have to do these things if you’re going to be a big man and get rewarded in heaven. Police: So you came here for jihad? Is that right? Police: It’s no use crying. Tell me the truth. Is that right or no? A conversation between another young terrorist with his handler was also aired on the show. Locked in a bathroom at Mumbai’s Trident Oberoi Hotel, another Pakistani terrorist named Fahadullah knew the end was near. He was out of food, water, energy and ammunition, and could hear the steady stream of police gunshots getting closer. He and nine other terrorists were winding down from a gruesome, 36-hour killing spree through the city, and he was talking on the phone to a handler far away in Pakistan. “I am out of grenades,” Fahadullah weakly offered.